Explain about the function and how to use it? Asking a question in eduladder is more easier than that you are thinking. For that you should first click on Ask a question which you could find in at nav bar. It will leads to the window which shows below. 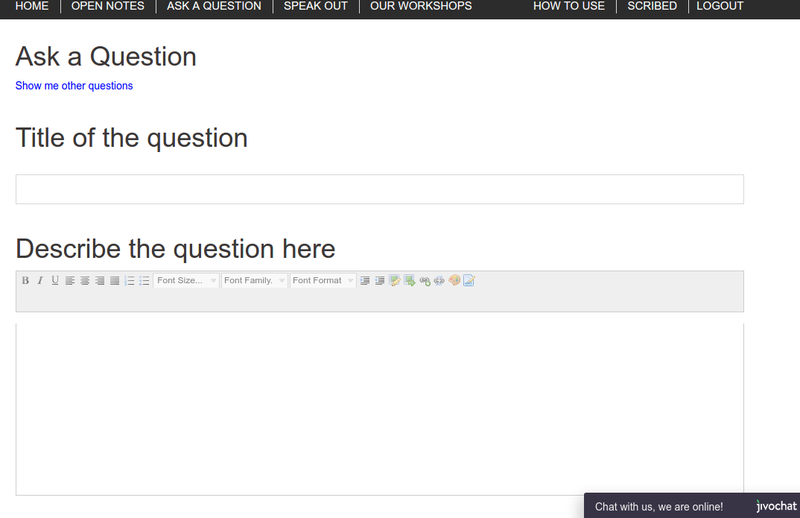 Once you have filled the question press on ask question button which found on the bottom of that page. Once you have pressed on that button you will see a list of similar questions if you are unable to find the question on the list then choose a note which that question is belongs to. 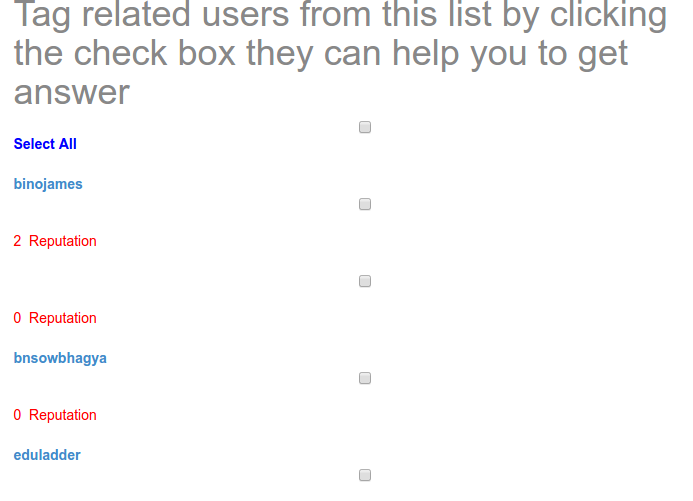 List of related users will pop up you could choose them accordingly or you can select every one.